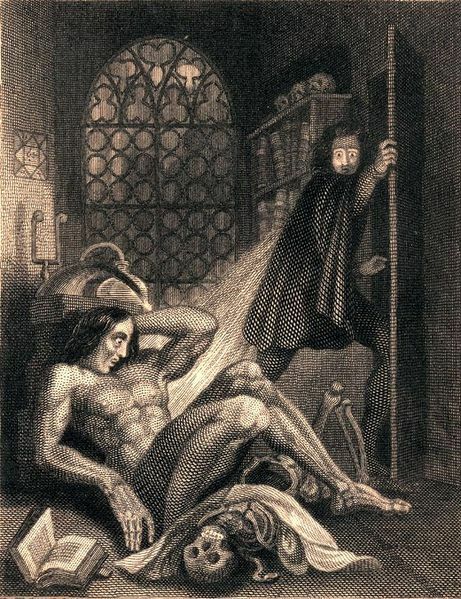 Over the course of time, Frankenstein's monster has usurped the very name of his creator, Victor Frankenstein, the precocious student of natural philosophy from Geneva, where Mary Shelley was living with two gifted poets, her husband, Percy, and George Gordon, Lord Byron, when she conceived the strange Gothic tale. A period of bad weather in Switzerland bred a compact between Byron, Percy, and Mary, that while at the Villa Diodati, each should write the kind of story the trio were so enjoying reading. Numerous twentieth-century films attest to the story's durability, perhaps because of what science has become in western society over the past two centuries. The subtitle, "The Modern Prometheus," suggests the mythic dimensions of the three-fold tale. The author, incredibly not quite nineteen at the time of composition (and, moreover, a teenaged mother), draws a correspondence between young Frankenstein's hope of scientific glory prompting him to manufacture a monster and God's creating the archangel who would become the rebel Satan. Frankenstein; or, The Modern Prometheus, generally known as Frankenstein, is a novel written by Mary Shelley. Shelley started writing the story when she was 18 and the novel was published when she was 20. The first edition was published anonymously in London in 1818. 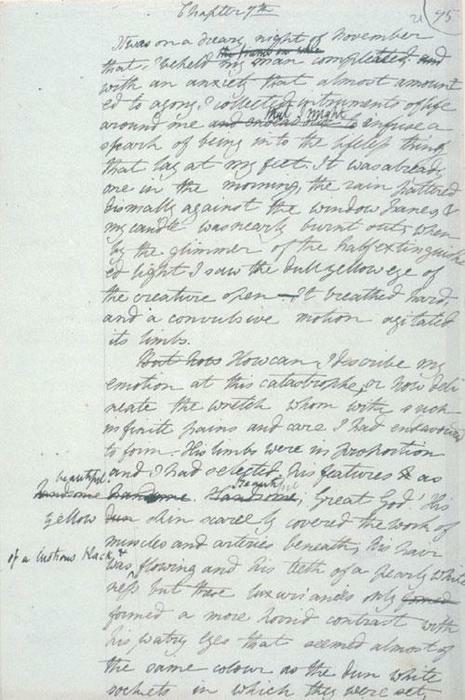 Shelley's name appears on the second edition, published in France. The title of the novel refers to a scientist, Victor Frankenstein, who learns how to create life and creates a being in the likeness of man, but larger than average and more powerful. In popular culture, people have tended incorrectly to refer to the monster as "Frankenstein". Frankenstein is infused with some elements of the Gothic novel and the Romantic movement. It was also a warning against the expansion of modern man in the Industrial Revolution, alluded to in the novel's subtitle, The Modern Prometheus. The story has had an influence across literature and popular culture and spawned a complete genre of horror stories and films.